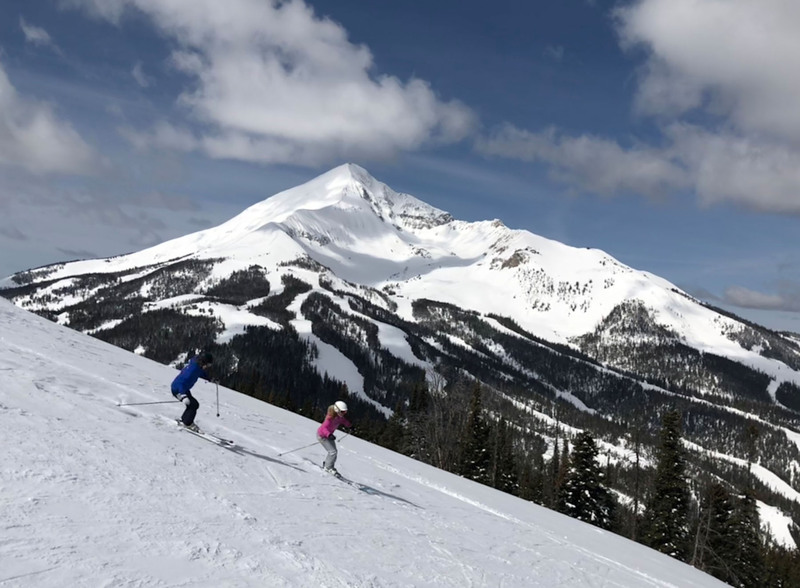 Big Sky in Montana was long a big secret amongst skiers, and picturesque Lone Peak was like a private ski mountain for Montanans and the fortunate few. 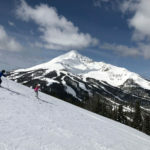 Big Sky has grown – so has its popularity, since its origins under news anchor Chet Huntley in 1973. 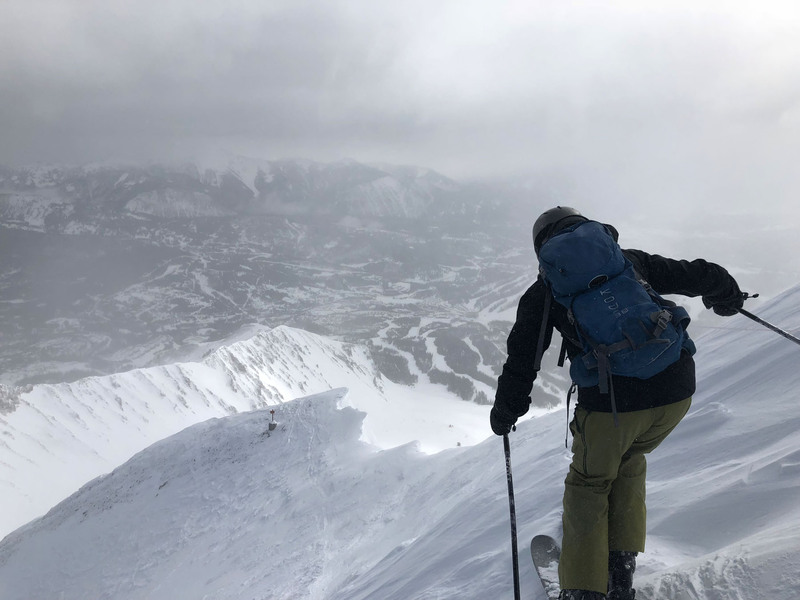 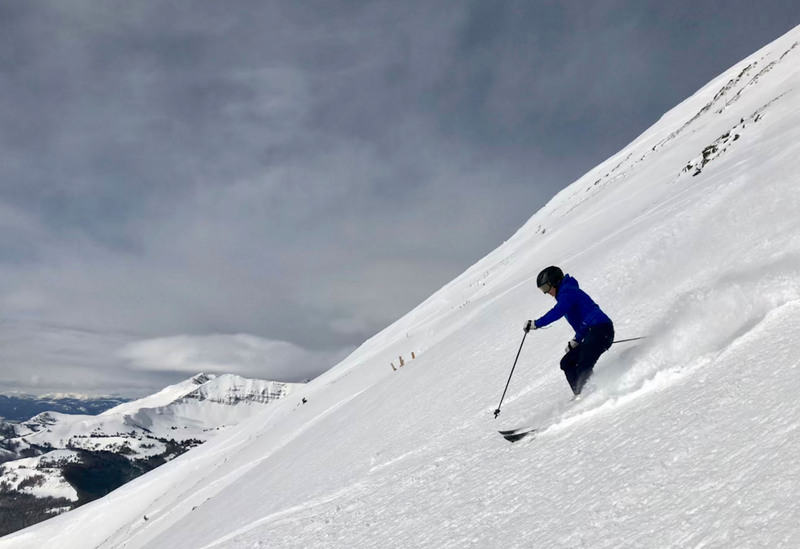 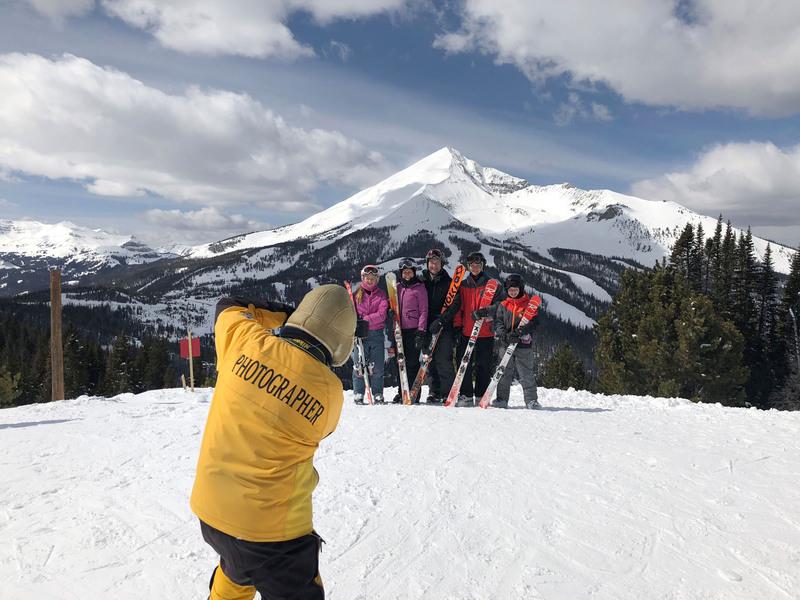 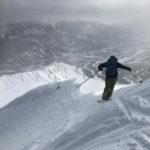 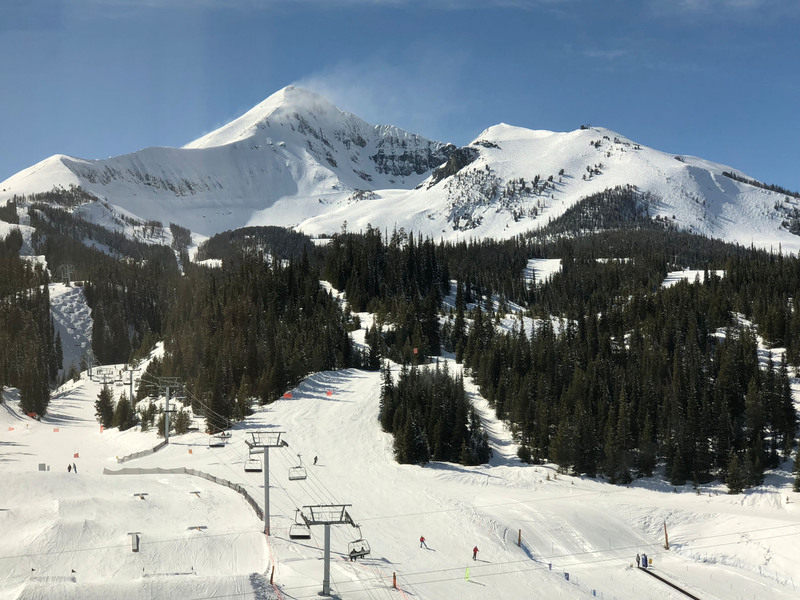 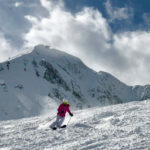 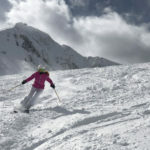 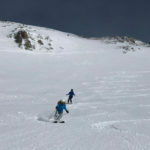 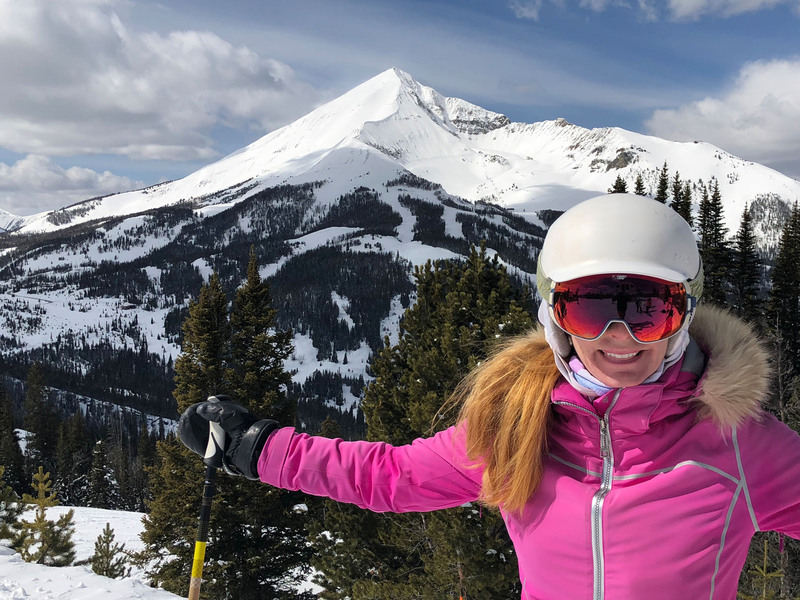 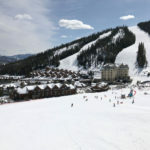 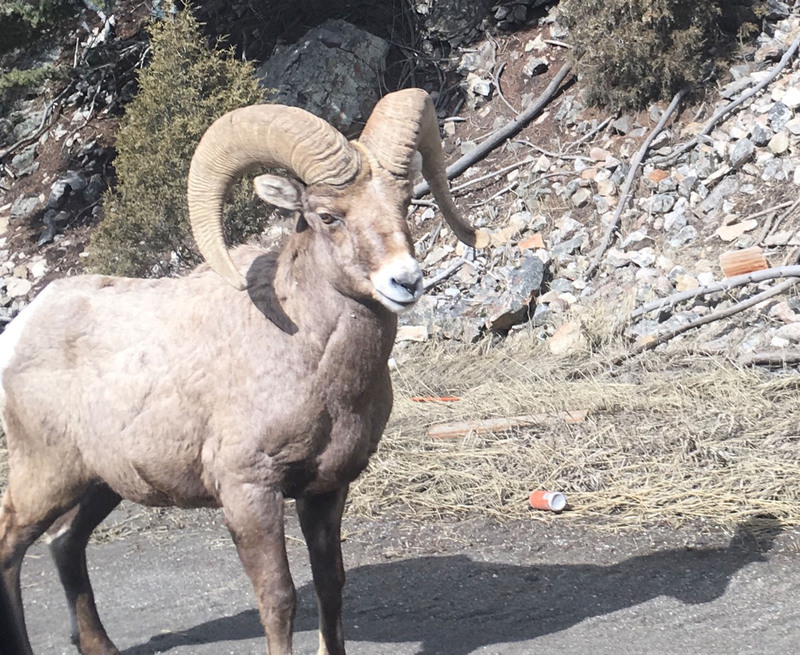 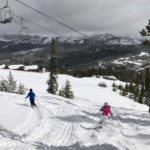 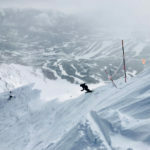 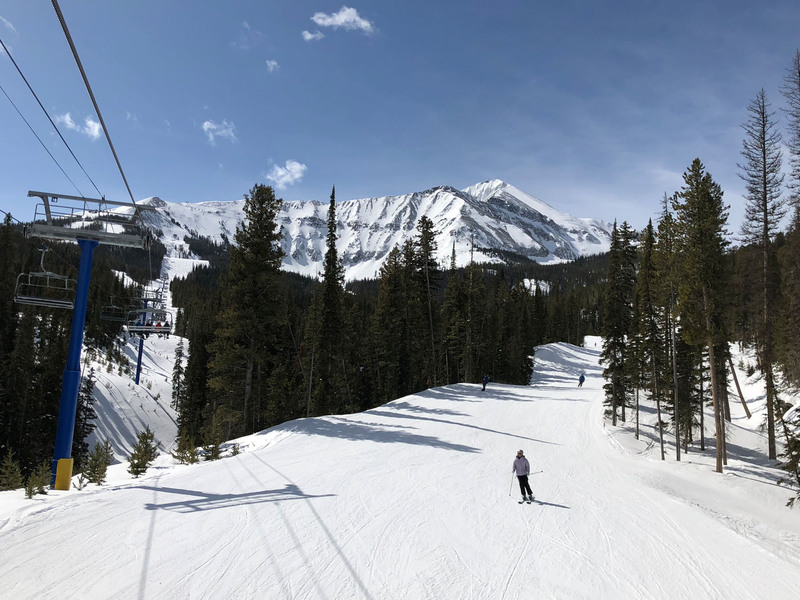 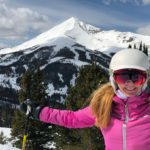 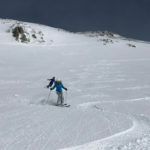 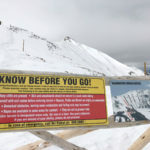 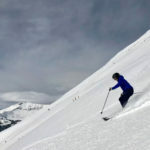 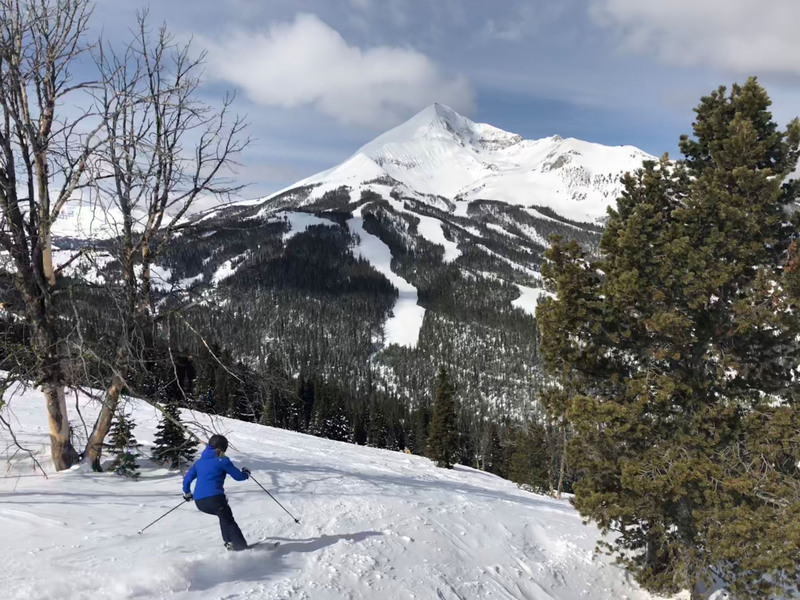 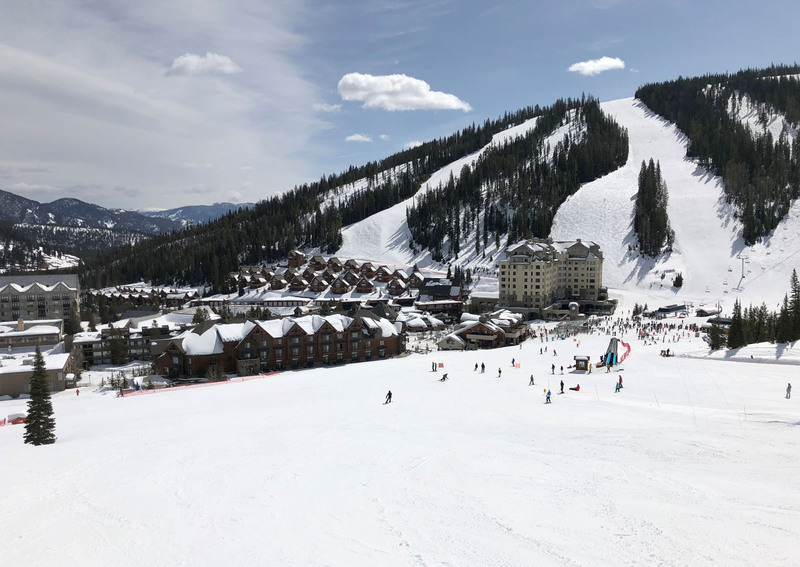 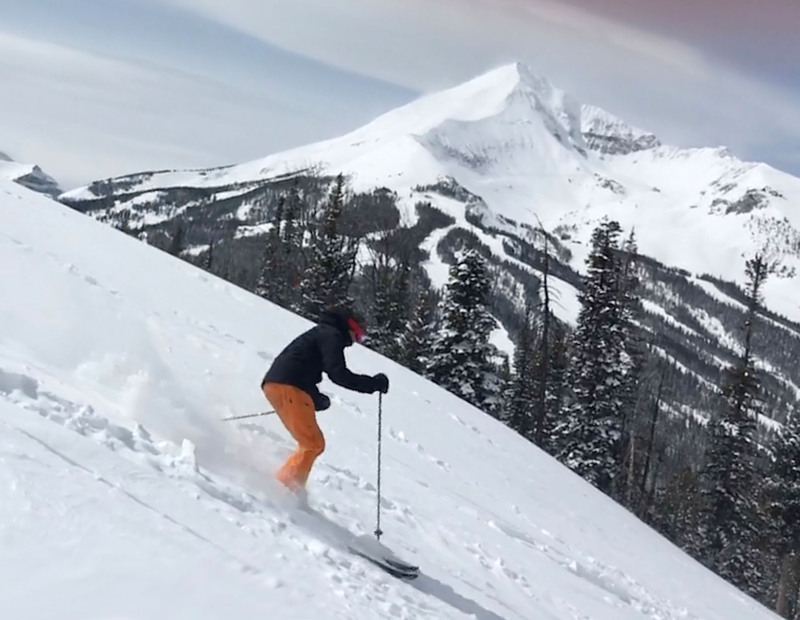 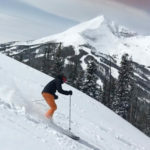 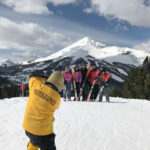 Big Sky Resort now offers skiers 5,800 acres with the acquisition of Moonlight Basin and Spanish Peaks, and its making its way onto many skier’s bucket list with some of the biggest and best skiing in America, and big snow. 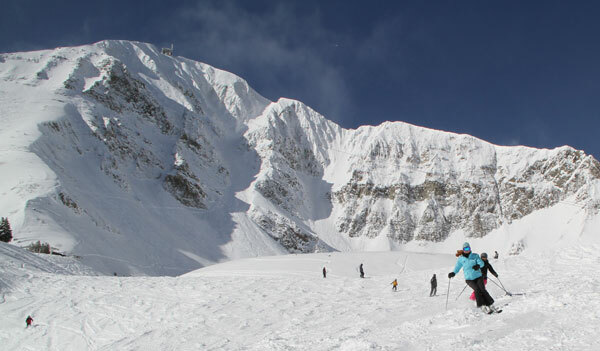 Big Sky is awesome for a Montana family ski vacation, larger than Vail, with great groomers to extreme steeps. 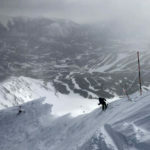 Its a close to The Alps as you get in the US for vast terrain, awesome scenery, and a plethora of off-piste skiing. 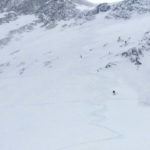 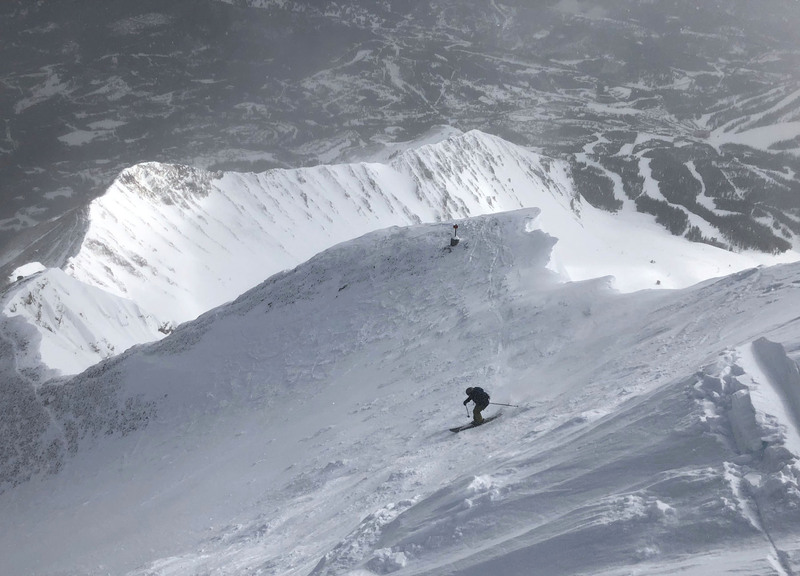 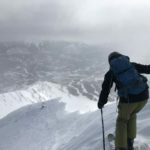 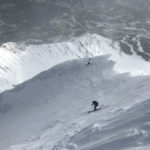 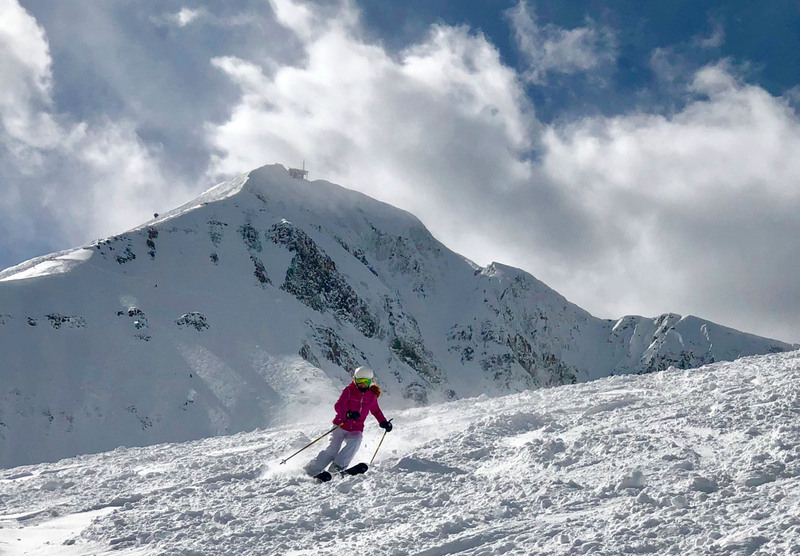 Big Sky has plenty of high elevation, high adrenaline (scare yourself silly) skiing like the Dictator Chutes and Big Couloir from Lone Peak at 11,166’. 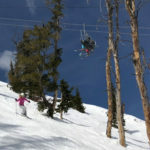 But there’s plenty of beautiful Blue Square cruisers if you prefer. 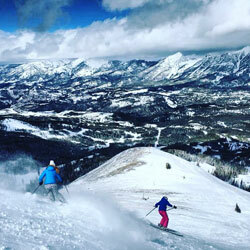 The scenery is gorgeous of the Grand Tetons and Spanish Peaks. 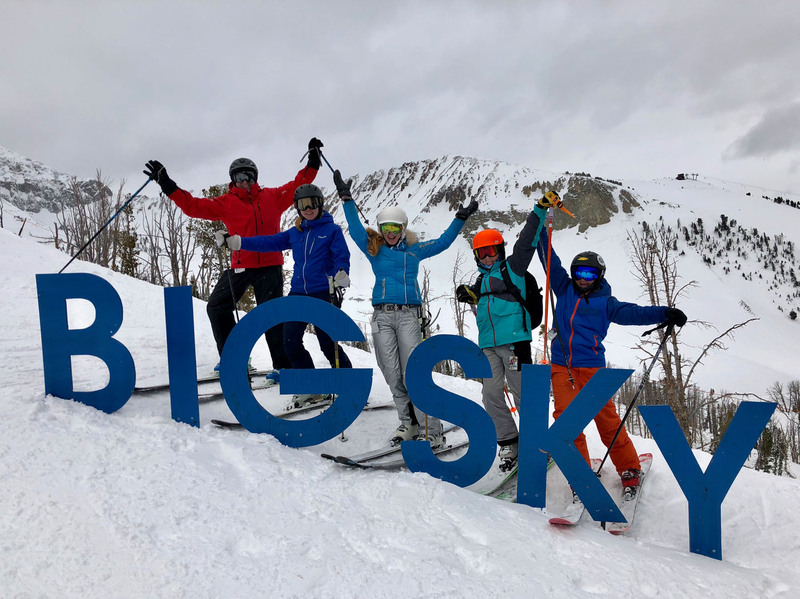 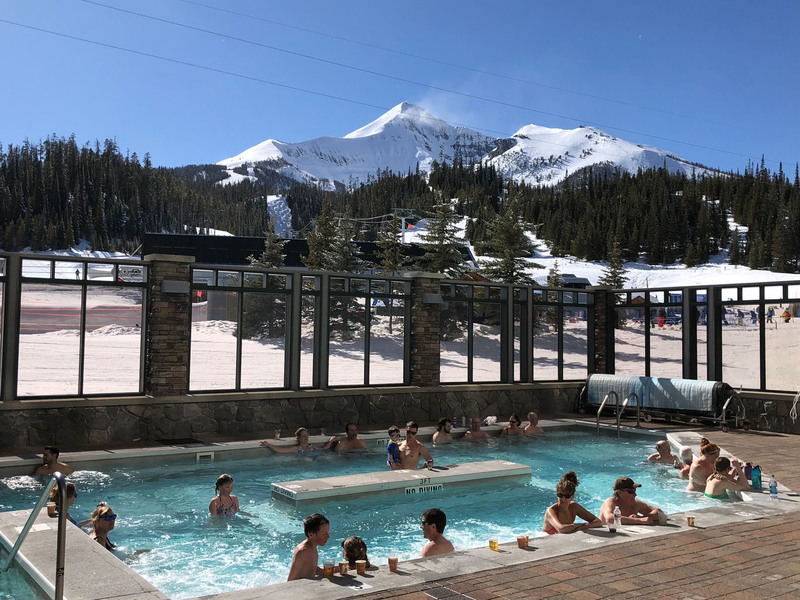 Big Sky’s lodging is posh and perfectly slopeside at The Summit in the Mountain Village, or in a private luxury mountain cabin on the ski slopes. 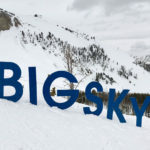 Big Sky is surrounded by three private clubs, Yellowstone Club, Spanish Peaks Club and Moonligh Basin Club – so the well to do have their mansions in these mountains, but there is still a cowboy frontier feel to the ski community as well, and Big Sky skiers can ski the slopes of Moonlight and Spanish Peaks, just not the private lodges. 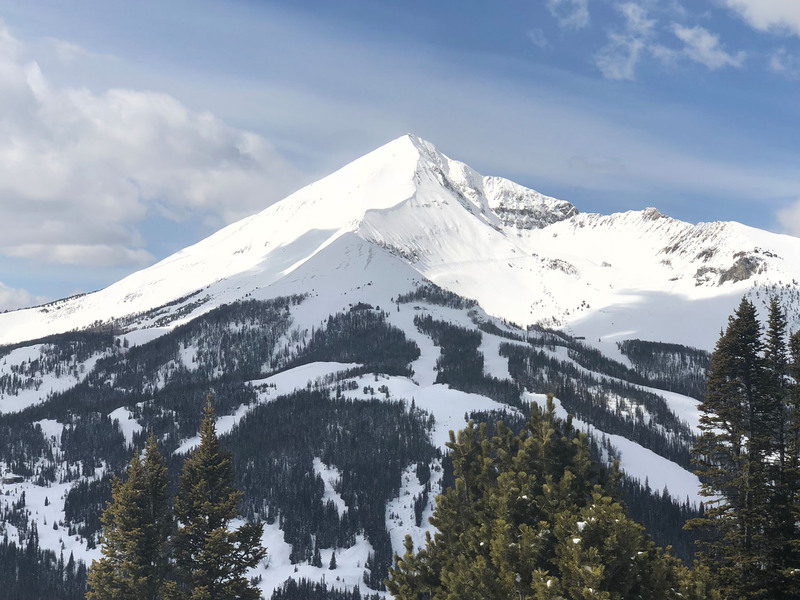 Lone Mountain is the pinnacle of Big Sky, this towering Alps like peak at 11,166′ is spectacular. 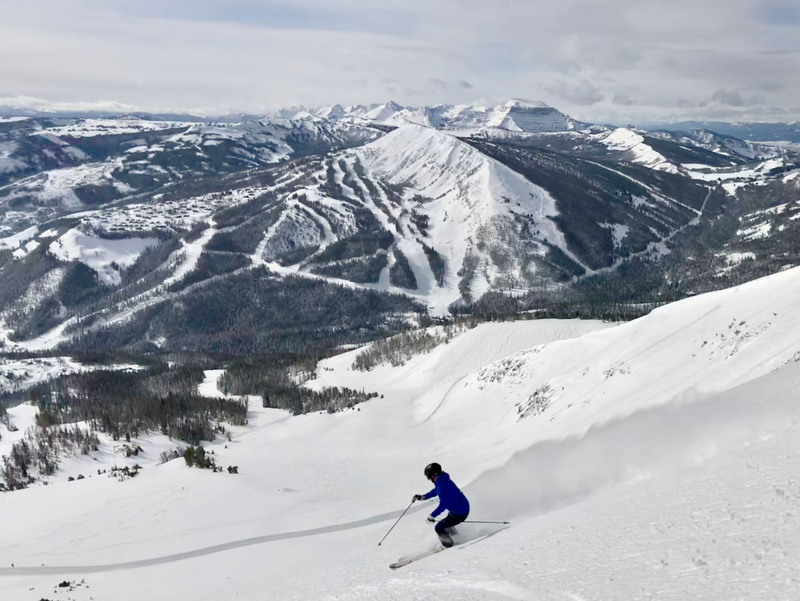 You can see three states – Montana, Wyoming and Idaho, and two National Parks, plus the exclusive slopes of Yellowstone Club across the valley. 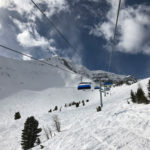 Definitely ride the tram up Lone Peak, in the 15-passenger tram, at least for the view, a photo opp, you can download, or ski the steeps, your choice. 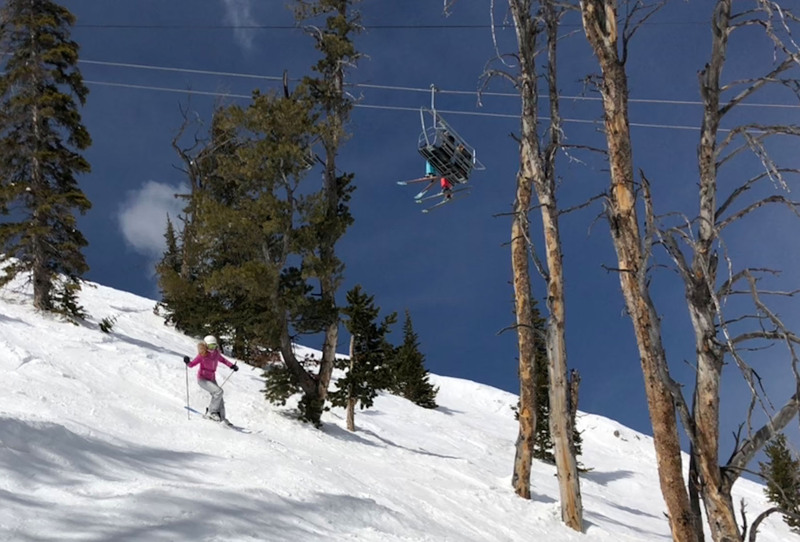 Tram lines can be long, 30-46 minutes) since its low capacity and very popular, especially among the tram-lapping locals (who can be quite aggressive getting in line for first tram in the morning). 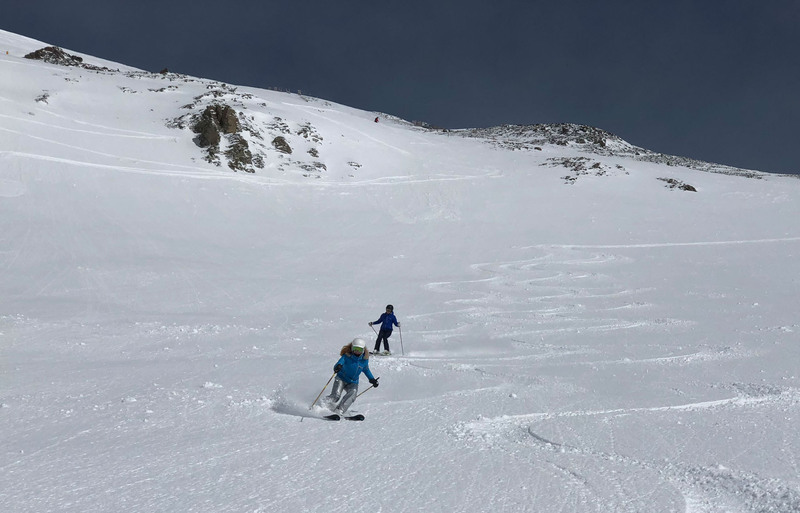 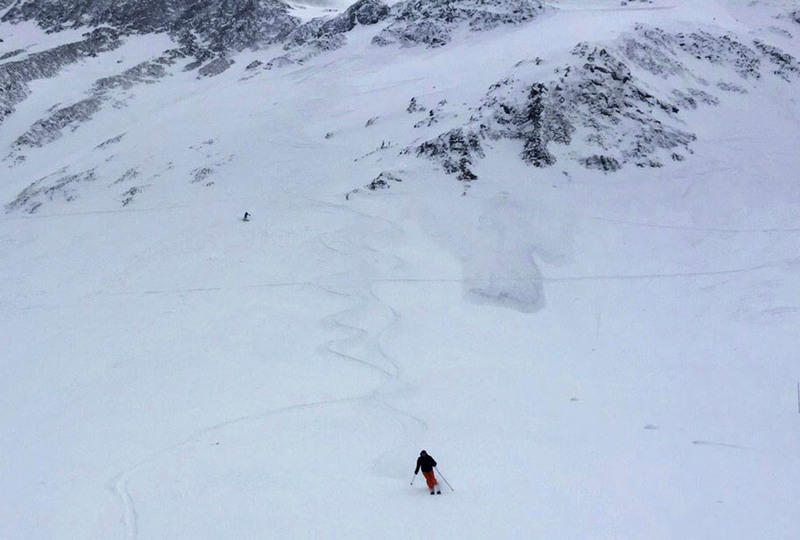 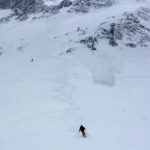 Everything off the Lone Peak Tram is ungroomed double black diamond including steep chutes like the legendary Big Couloir and North Summit Snowfield – which I deem the best run in North America. 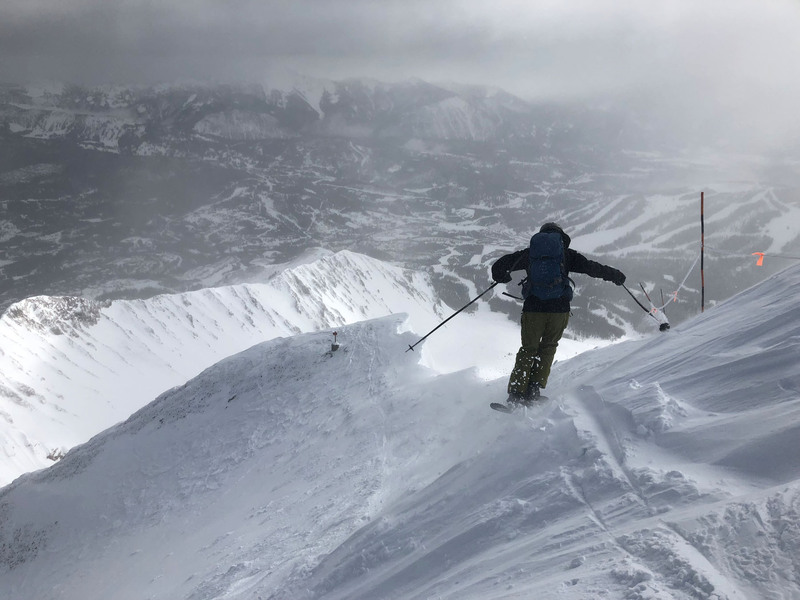 Another challenging handful of trails are off Challenger, which brings skiers to wide open snow bowls, glades, and the Headwater chutes. 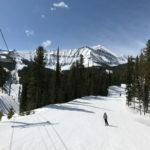 Big Sky also offers plenty of tame blue and green scenic runs served by the Swift Current quad, locals call it “swifty”. 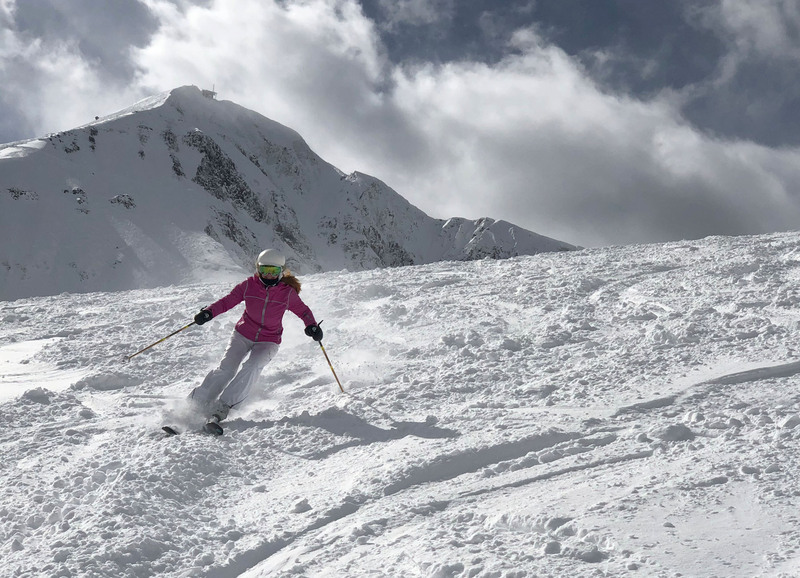 The Powder Seeker 6 six passenger lift with heated leather seats and its signature blue bubble takes you to the Lone Peak Tram, or to the Challenger Triple chair which both serves all advanced terrain. 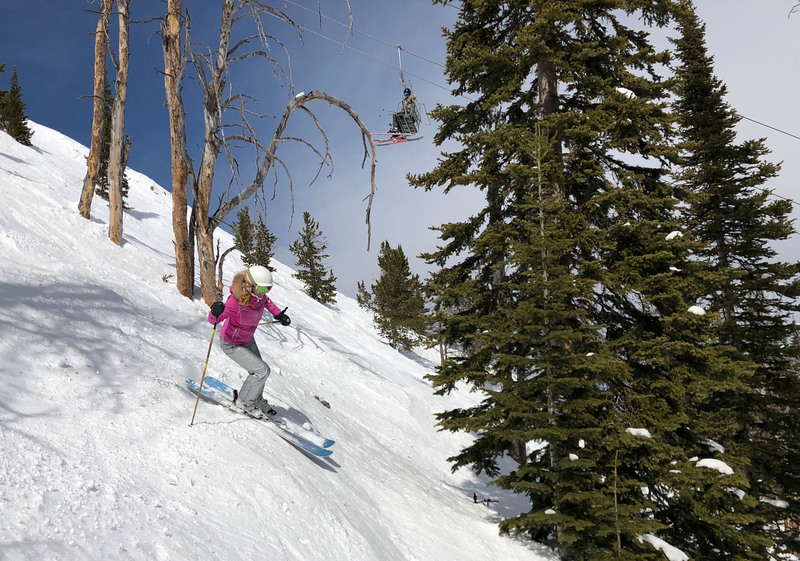 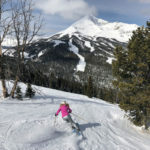 On Big Sky’s Andesite Mountain, served by the Ramcharger (an 8-pack chair in 2019) and Thunder Wolf quads, you will find gorgeous long groomed blues, like Elk Park Meadow, Ambush and Tippys, to glades and bump runs. 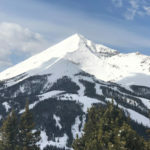 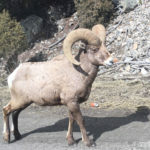 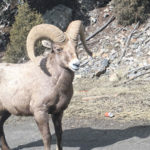 Southern Comfort to Big Sky’s furthest south is novice heaven with gently pitched wide boulevards abutting the Yellowstone Club mansions and Spanish Peaks ski lifts and trails. 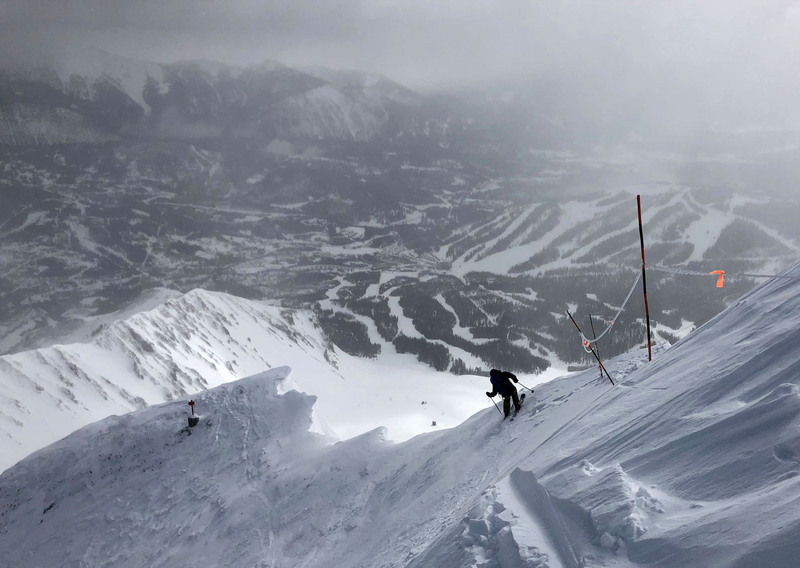 You can ski Spanish Peak, but the Yellowstone Club entry is gated and guarded – to protect its prestigious members. 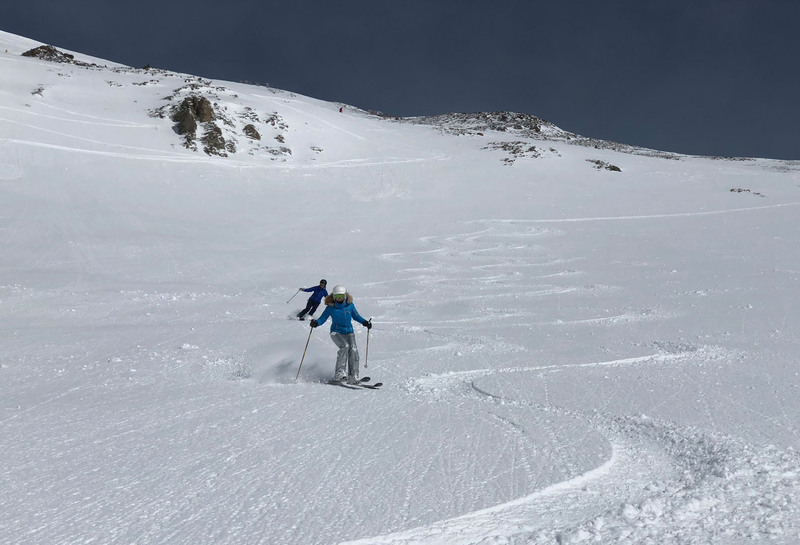 Big Sky and Moonlight are interconnected, so be sure to ski to Moonlight for perspective on just how huge this Montana skiing is. 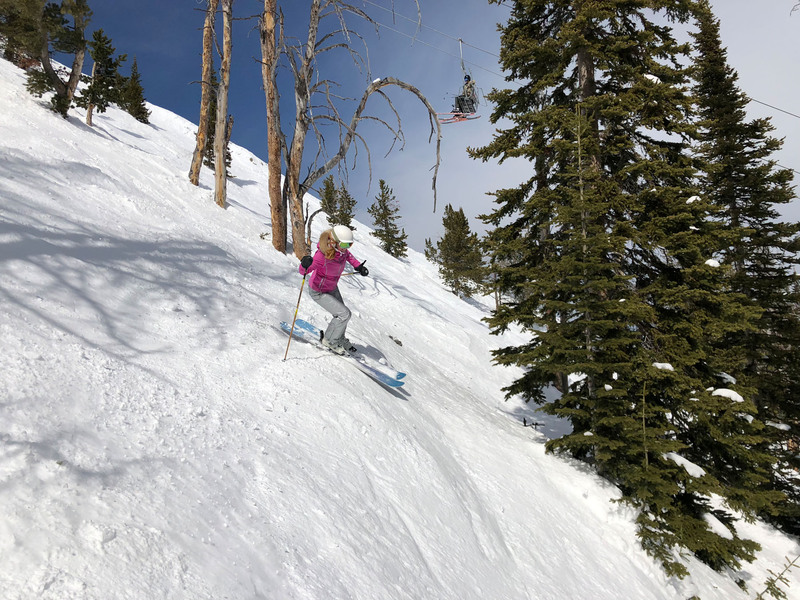 Moonlight has wonderful northern exposure terrain, once just accessed by cat skiing, its now easily reached with great groomers like Meriwether and Lookout, glades like Single Jack and the daunting Headwaters chutes. 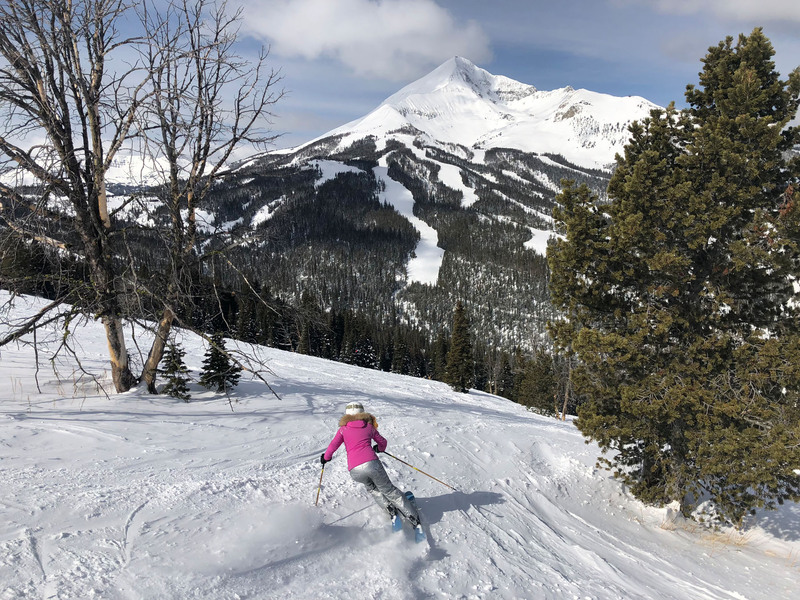 Moonlight Lodge is for members only, but the skiing here is part of your Big Sky ticket and well worth exploring, often softer snow given its north face. 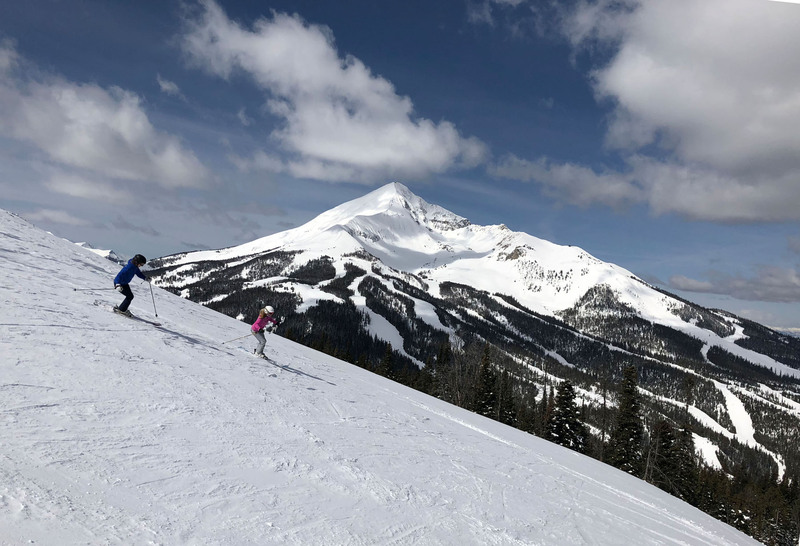 Big Sky is America’s Alp, very European in its extensive ski terrain, and dominate Lone Peak – like the Matterhorn of America. 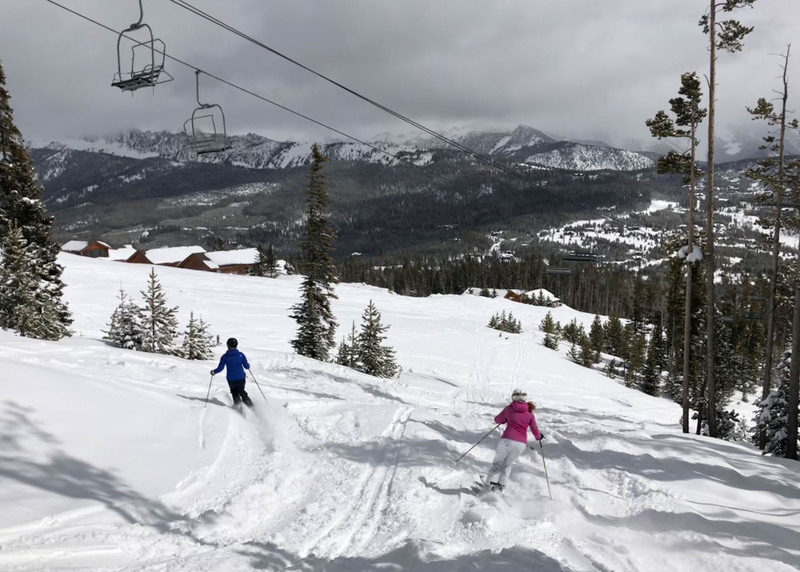 Families will love Big Sky’s learn to ski programs, kids happy hour activities, ziplines, and tours of Yellowstone National Park as add-ons to a family ski trip. 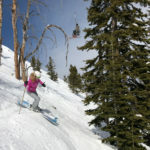 Did we mention kids 10 and under ski and stay free with paying parents? 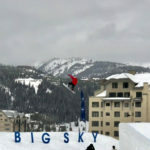 Aprés ski Big Sky Resort has live entertainment, just enough shopping, bars and restaurants. 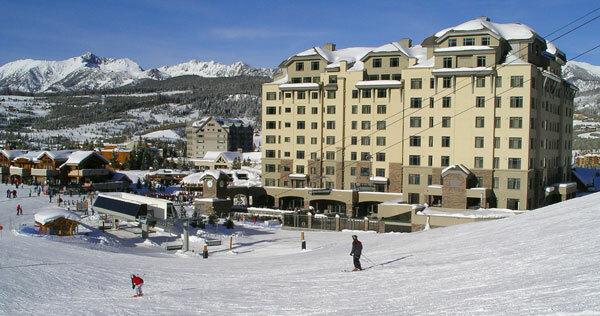 You are a short drive to some cool ranches for authentic western dining, at Bucks T4 and Lone Mountain Ranch. 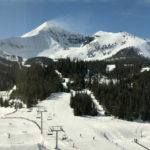 See our Best Dining and Apres Ski at Big Sky. 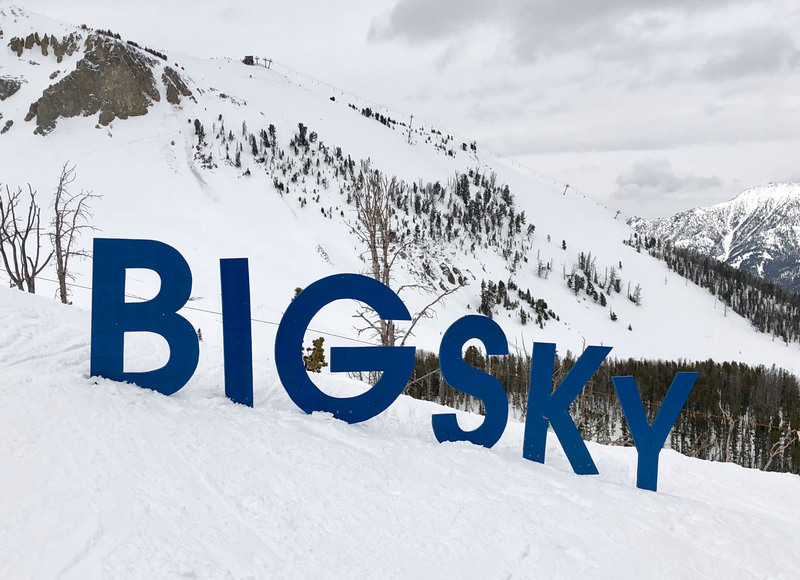 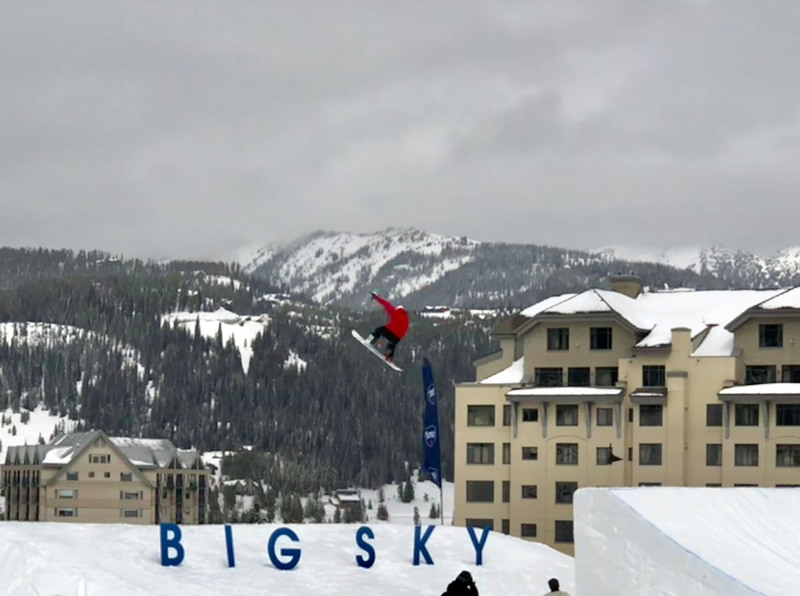 Big Sky’s parent company Boyne USA manages sister Eastern ski resorts Sugarloaf, Sunday River, and Loon plus their western resort portfolio of Brighton in Utah, Crystal and Summit at Snoqualmie in Washington, and Cypress in British Columbia. 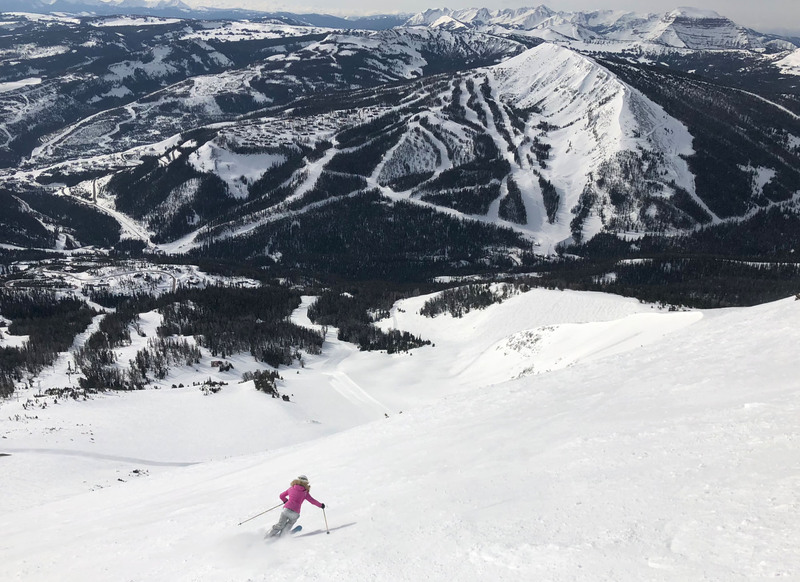 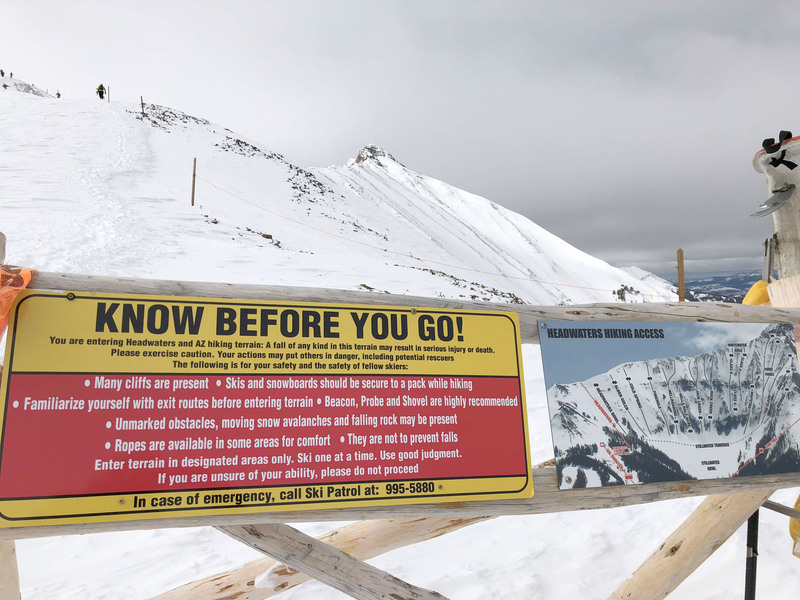 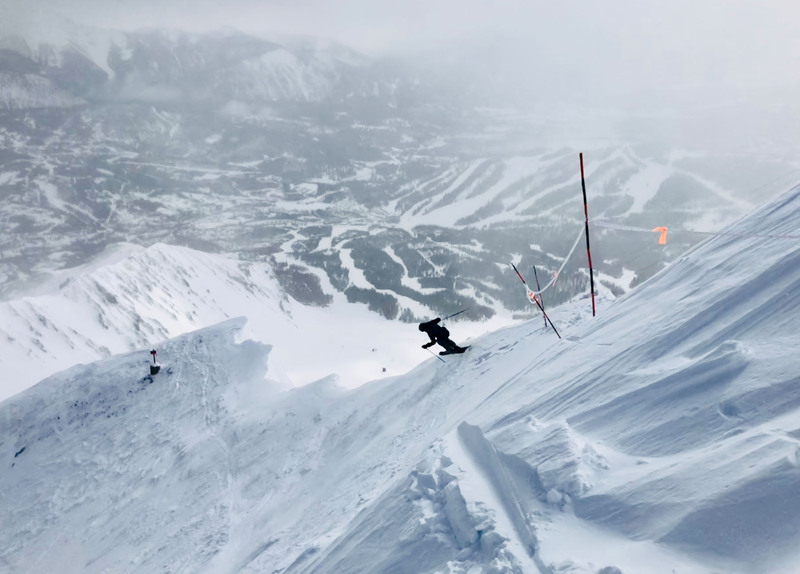 Big Sky owns neighboring Moonlight Basin and Spanish Peaks, with partnership from Yellowstone Club owner CrossHarbor Capital – making it the Biggest skiing in America with 34 lifts, an 11,166′ peak and 4,350′ vertical. 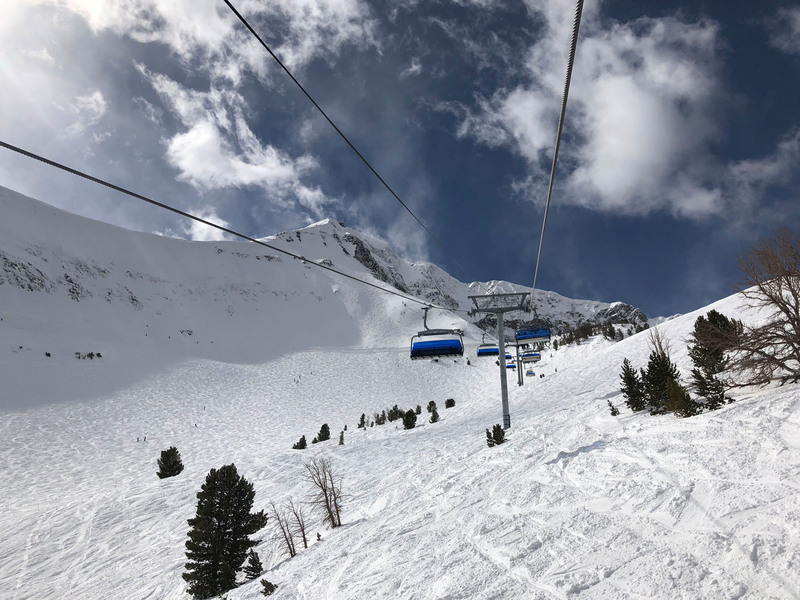 The Powder Seeker 6 six passenger lift with heated leather seats and its signature blue bubble takes you to the Lone Peak Tram, or to the Challenger Triple chair which both serves all advanced terrain. 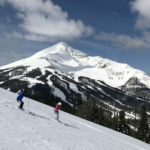 Big Sky 2025 is the big plan of 10 more new lifts in the coming years, plus on mountain lodges and a mountain village. 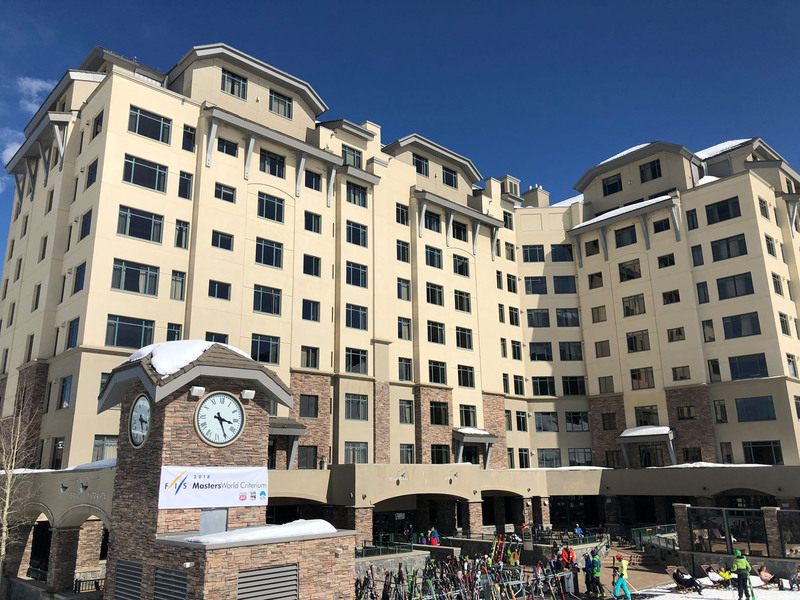 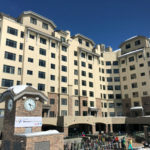 Big Sky Town Center 6 miles down the Mountain Road is also growing with new services, brew pubs, the Warren Miller Performing Arts Center, a Marriott, an ice rink and medical center. 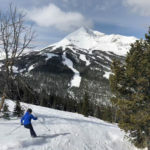 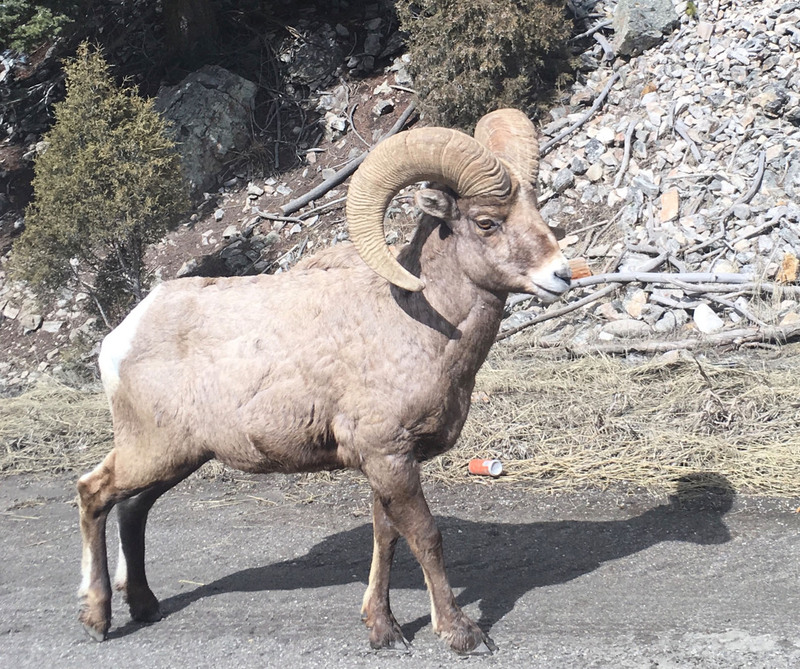 Visiting Big Sky for a ski week, stay at The Summit, take a day off from the snowy slopes of Big Sky to visit the first national park, Yellowstone National Park, where you can snowmobile or ride a motorcoach and see bison, wolves, elk and thermal geysers – and of course, Old Faithful. 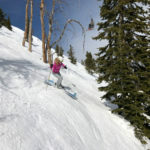 Or go Nordic skiing at Lone Mountain Ranch. 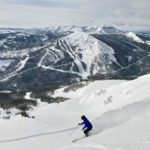 If you are looking for the ultimate in private deep powder (and you have deep pockets) then check out the private ski resort Yellowstone Club. 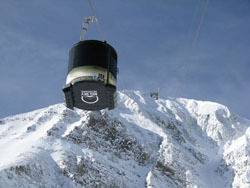 36 lifts including an expert summit tram.